Mont Bleu needed to promote their high energy resort experience and drive Sacramento consumers to their Lake Tahoe casino and spa for concerts, gaming, and destination vacations. They needed to fill the seats in their 1,700 seat showroom for comedians and smaller acts, and drive younger demos to summer experiences like their reggae festival in the 5,200 seasonal outdoor venue. Here's how we moved the needle for Mont Bleu Casino! Mont Bleu has seen an increase in ticket sales for the majority of concerts we created media and contesting for, and kudos for our consulting and ability to create radio station cooperation for on air and online promotions. 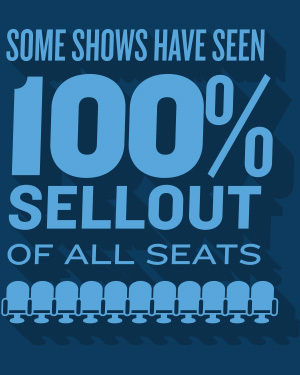 Some shows like Tosh have seen a 100% sellout of all seats. As a result, we’ve worked with Magnum and Mont Bleu for several years. "I am a repeat client due to Steve’s excellent client service and top notch production! He’s always willing to go the extra mile no matter what the issue is at hand, providing quality deliverables. Steve truly understands the needs and urgency of the advertising world and has never let me down. It’s really about the people you create the working relationships with and I truly value my relationship with him." Over the years, the age and preferences of consumers who enjoy gaming have changed. We have been doing casino advertising for over a decade, helping casinos differentiate themselves, reinforce their brand, and heavily promote their concerts and promotions. We've done marketing for many casinos including The Silver Legacy, John Ascuaga’s Nugget, Boomtown,and Harrahs / Harveys casino- who awarded Steve the “most innovative marketing” award!